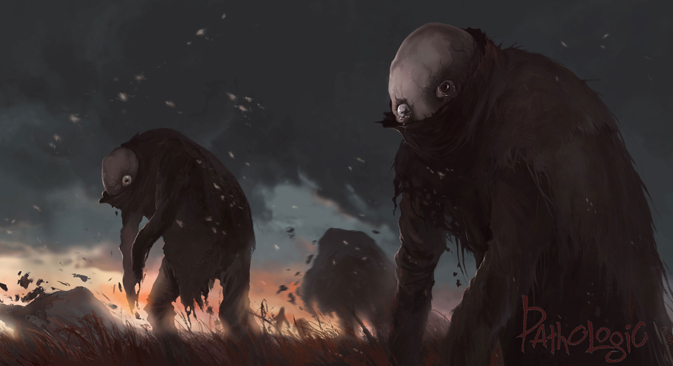 The creators of the video game Pathologic have wrapped up a crowdfunding campaign on Kickstarter that netted them more than $333,000 exceeding their $250,000 target. They have begun the development of an enhanced version of the game and promise that this time foreign players will easily understand the narrative. The developers of video game Pathologic described their debut project as “a simulator of human behavior during an epidemic” back in 2005 when it first came out. The game received several major awards in Russia and good reviews internationally. However, it did not become a worldwide bestseller because it contained too many bugs. After several commercially successful releases and nine years of operation, the studio Ice-Pick Lodge, which developed the game, decided to give the project a second chance and try a remake. The developers finished a successful Kickstarter campaign in October 2014, which raked in $333,127, far exceeding expectations. They are now in the process of developing a new and improved version of Pathologic that promises to make the game more accessible to foreign players. Pathologic became a cultish video game, because many players see it more as a work of art and a unique interactive experience than a video game in the conventional sense. The events are set in a strange city whose neighborhoods are named after the parts of an animal carcass and where ancient steppe customs are combined with industrial inventions. The urban architecture at times contradicts the laws of physics and the social system sometimes defies the laws of logic. For example, a giant slaughterhouse is run by a five-year-old girl, while a local theater stages plays recapping the day’s events in front of an empty auditorium. But when the plague comes to town, its quaint lifestyle falls apart. After choosing one of three characters, the player comes to the city a day before the epidemic breaks out. The first protagonist is a thanatologist (a scientist that studies death) from the capital; the second is a medical student and the son of a local witch doctor; and the third is a girl with the gift of healing hands. Each hero lives out his or her unique story. The player has 12 in-game days (24 hours in real time) to save the city, its inhabitants and themselves from the plague. The spread of the deadly disease, economic chaos, looting and other obstacles stand in the player’s way. Pathologic is replete with quotations and references both to contemporary works of art and ancient cults. The game’s intense atmosphere, non-linear plot, dense artistic narrative, unusual ideas and full player immersion into the world of a plagued city brought it a fair amount of notoriety. Upon the completion of the Kickstarter campaign, the studio was able to collect an extra $50,000 over the minimum $250,000 to expand the territory of the city itself. If fans continue to finance the project on the studio’s own crowdfunding platform called Niti, the game will get a steppe ($350,000). If the studio reaches $400,000, it will be able to add lucid dreaming to the game. With a $450,000 budget, the developers will be able to bring Termitnik (translated Ant-Hill) and Boyni (Slaughterhouse) to life (these are the living quarters and place of work, respectively, of the community steppe workers). At its maximum goal of $550,000 Ice-Pick Lodge will add a prequel with the length of one in-game day. The original translation prevented Pathologic from gaining widespread popularity in the West as much of the dialogue was poorly adapted. This time, Ice-Pick Lodge gathered a team of translators who work with native speakers, promising to be not just a word-for-word translation, but an artistic retelling. Ice-Pick Lodge is the best-known independent video game studio in Russia. Its founder and Artistic Director, Nikolai Dybovsky, gives lectures on independent game design. He presented the prototype of the Pathologic board game at the Rolecon festival in Moscow on October 25. Besides Pathologic, the studio is also famous for three other games. Turgor (or The Void to English users) is a psychedelic adventure about traveling through an otherworldly universe that has almost nothing in common with reality. Evrika! (known as Cargo! The Quest for Gravity in the Western world) is a children’s arcade game set in a world without gravity. Tuk-Tuk-Tuk (or Knock-Knock) is a horror game in which the player is tasked with helping the hero survive a night in a house of horrors and maintain his sanity. According to the developers, the concept for the design and media files for Knock-Knock came to them by mail from an anonymous player who insisted that all his ideas be implemented in a single game. They never heard from this player again.